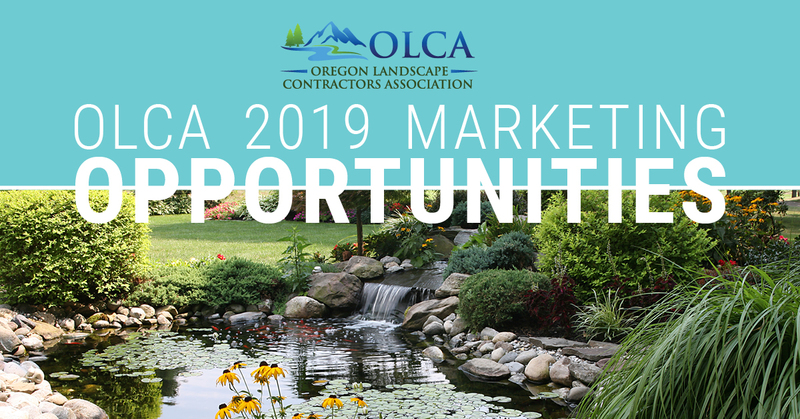 Oregon Landscape Contractors Association members are comprised of over 300 green industry service provider companies, suppliers, dealers, state and allied regional associations, students and faculty and other industry affiliates throughout Oregon and S.W. Washington. Oregon Landscape Contractors Association members have joined the organization because they are committed to business success, increased professionalism, and staying abreast of the latest industry trends. Partnering with OLCA allows you strategic placement and prominence at every turn so your investment turns into business success. Maximize your exposure and reserve a partnership/sponsorship opportunity today. OLCA’s newsletter, Oregon Landscape, is quarterly e-newsletter with timely association and industry news and topics for the members of OLCA. Quarterly distribution reaches approximately 1,000 individuals. The Q3 issue is an expanded printed issue sent to the Association members and all Licensed Landscape Contractors in the State of Oregon. OLCA Directory website page is exclusive to Platinum and Gold package advertisers. Directory artwork is due with the package contract. Supporters’ page Listing as a GOLD advertiser in the Oregon Landscape Expo brochure, directory, OLCA website link and every newsletter for one year. Supporters’ page Listing as a SILVER advertiser in the Oregon Landscape Expo brochure, directory, OLCA website link and every newsletter for one year. The OLCA Northwest Landscape Expo is the premier educational and exhibiting event of the landscape industry. This one-day event is held in early December at the Oregon Convention Center in Portland, OR. Approximately 1,000 industry professionals attend this event each year. Exhibits and sponsorship opportunities are available for the Northwest Landscape Expo. Sponsor will receive special recognition at Expo (special booth signage, meeting graphics and attendee packet materials),and special recognition in Expo brochure (if received at time of print), and one 10x10 booth at Expo. Sponsor will receive special recognition at Expo (special booth signage, meeting graphics and attendee packet materials), and special recognition in Expo brochure (if received at time of print). The Portland Chapter of the Oregon Landscape Contractors Association invites you to sponsor our up-coming activities and chapter meetings in 2017, Landscape Awards, Landscape Expo Kick-Off Party which includes the Landscape Awards Presentations this year, as well as our monthly chapter meetings.